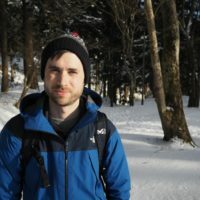 Early last summer Tom Fay headed to the Northern Japan Alps to do some final research for the Hiking and Trekking in the Japan Alps and Mount Fuji guidebook. This is where the trails took him. The North Japan Alps lie in the Chūbu region of central Japan; a mostly mountainous area on the main island of Honshu, halfway between Tokyo and Kyoto. 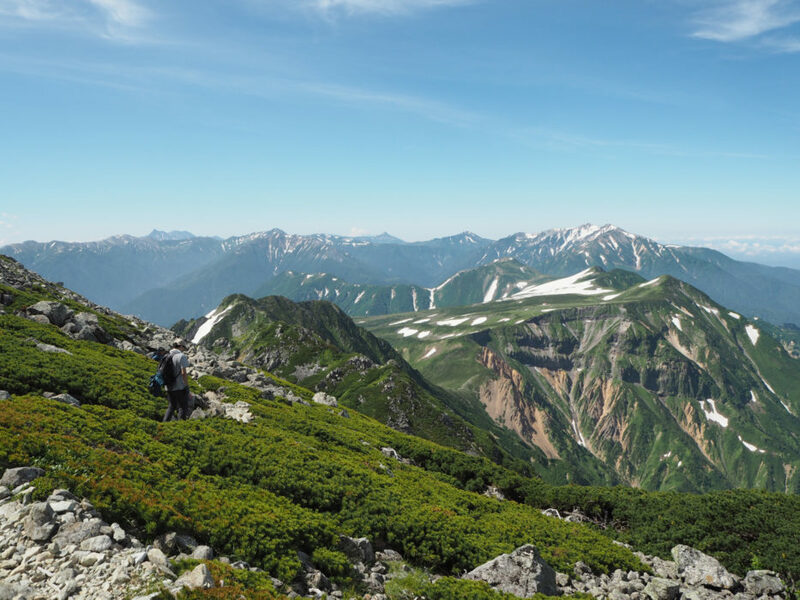 Known as the Kita Alps in Japanese, this roughly Y-shaped range of mountains are home to some of the highest and most rugged peaks in the entire country and so very popular with outdoor enthusiasts. 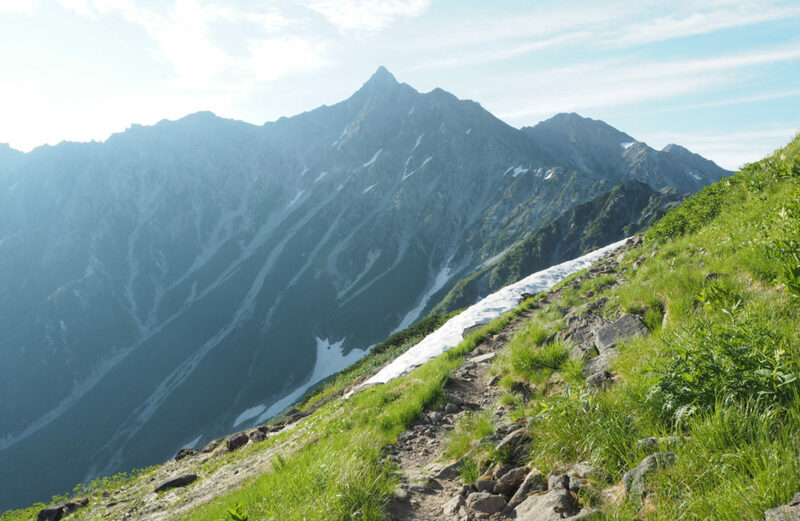 One of the classic routes in the North Alps is the week-long trek from Tateyama to Kamikōchi. It involves traversing along the western spine of the range, climbing famous peaks and passing through some very wild and remote country. I start my journey in Toyama, a city on the Sea of Japan coast that boasts a castle, a glass art museum and not a lot else in truth. It is a useful gateway to the North Alps, however, with a rickety little train line that carries passengers into the foothills of the Alps, arriving at the tiny hamlet of Tateyama in an hour. This journey is actually part of the Tateyama Kurobe Alpine Route, a popular tourist route of assorted trains, buses, ropeways and cable cars, which cuts directly through the mountains, linking Toyama with the small town of Ōmachi on the other side of the North Alps. Along with many extremely well kitted out Japanese hikers, I join the motley assortment of day trippers and dithering tourists for the short 7-minute cable car ride, followed by a 50-minute winding bus journey up to Murodō, a scenic mountain hub on a high plateau at 2400m. In mid-April the road up to Murodō is dug out from under 20 metres of snow, all of which falls during the long, harsh winters here. These cavernous snow walls are a popular tourist attraction until around early June, and even in the height of summer plenty of large snow patches usually remain. I’m eager to leave the crowds behind at the huge hotel and bus complex, so after filling up my water bottle at the stone fonts just outside the building, I quickly start up the cobbled path towards Tateyama. 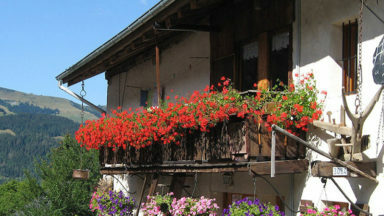 It’s a fabulously sunny day, and the vivid greens of the alpine meadows, grey hues of rocky buttresses and glistening white snow patches dotted here and there make for a splendid setting, the quintessential North Alps scene. 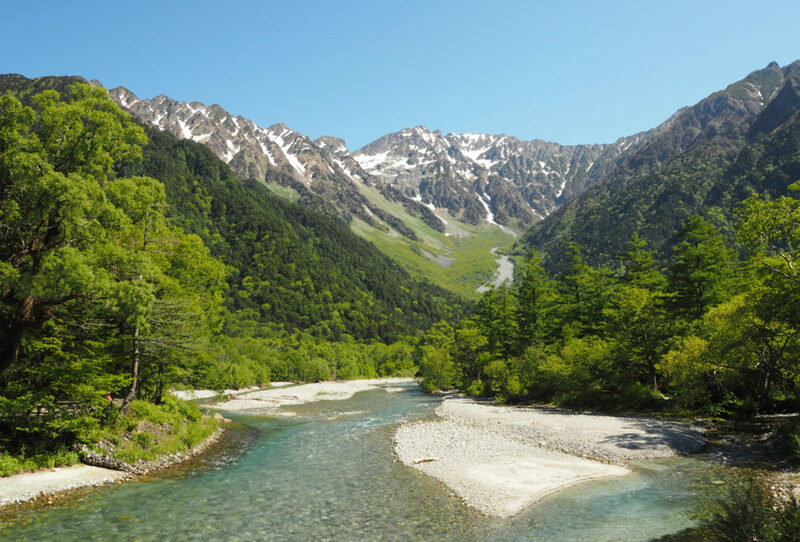 Tateyama is one of Japan’s ‘three holy mountains’ (along with Mt. Fuji and Haku-san), and has three main peaks, the highest being Ōnanjiyama at 3015m. 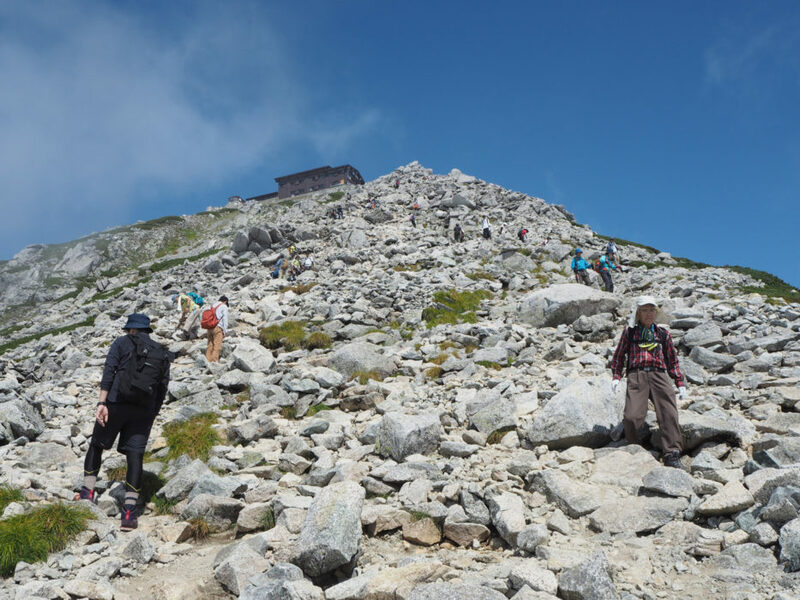 The vast majority of hikers make the 3-and-a-half-hour return trip to the small shrine perched on the top of Oyama (3003m), Tateyama’s most accessible southerly peak, but even this involves a 50-minute scramble up steep and loose rocks. Remarkably, some of the local schools organise days out to Tateyama, so if you pick the right (or should that be wrong?) day you may share the climb with hundreds of chattering schoolchildren ascending en mass. This time I decide to branch right before Tateyama and take an alternative route up and over the summit of Mt. Jōdo-san (2831m), a shapely peak with fantastic views in all directions. 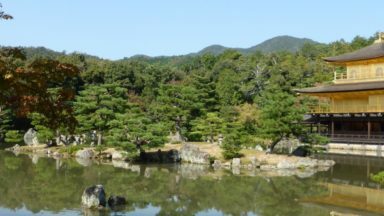 It can be combined with a climb up to Oyama for a satisfying 5-hour loop hike for those with only a day to spare. 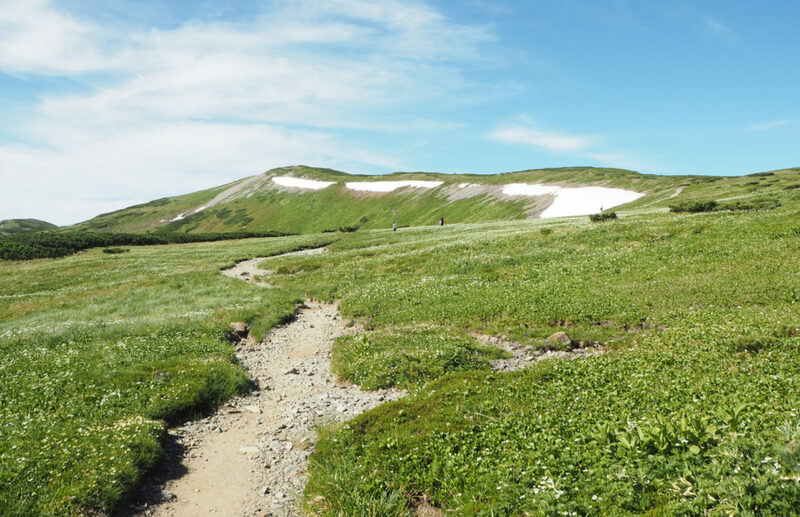 Heading south from Jōdo-san the trail soon become much quieter, dropping down and around a few minor peaks where some extensive snow patches can remain, especially in early summer (simple crampons may be useful). 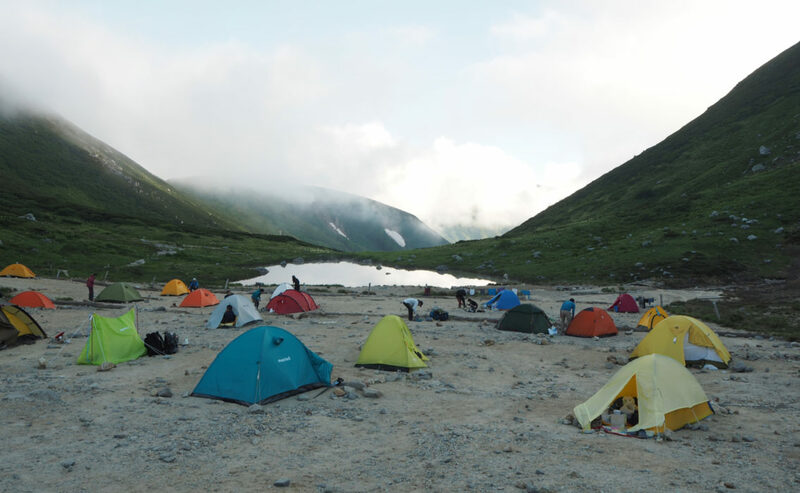 Day one for most people ends at Goshiki-ga-hara, a verdant alpine plateau known for its wildflowers and solitude, and there is a fine red-roofed hut (with a bath filled from melted snow water) and camping ground close by. As there are still plenty of hours left in the day though I decide to push on to the next hut, around 4 hours away. This section of the trail has a truly remote feel and I pass only one other hiker as the narrow path follows the ridgeline south, with lots of up and down. There are glimpses of the massive Kurobe Lake down in the valley to the east, and as the day wears on I pass through pockets of cool murky grey mist as it rises up from the lowlands. I eventually arrive at Sugo-norikoshi-goya, a friendly hut on the edge of the treeline with Himalayan prayer flags hanging from the rafters. I opt to save money and camp (guidebook research can be an expensive business! ), and soon make friends with a random handful of Japanese campers, none of whom are doing the exact same route as me or each other. The next day the sun is out and it’s an early start for the steady climb up and over the summit of Mt. Yakushi-dake (2926m), another of Japan’s 100 famous mountains (known in Japanese as the hyakumeizan). Not far beyond the hut I rise above the treeline, and for most of the rest of the day the sun beats down in brutal fashion, with no shade at all until reaching the other side of the mountain. Mt. Yakushi is a wonderful rocky peak, with a narrow stony ridge connecting its two main summits above a snow-filled cirque. Typical of most big mountains in Japan, on the main summit sits a small wooden shrine, and a weathered post shows the mountain’s name written in kanji characters. Down past the summit I start to see a few more hikers, as Yakushi-dake is a fairly popular 2-day hike from the remote trailhead at Oritate down in the valley. Yakushi-dake sansō is a nice hut just 30 minutes below the summit, but as this is a camping trip I walk on for an hour to Yakushi-tōge, a pleasant little campsite with water, toilets and a small shack selling drinks (beer!) and snacks until around 3pm. The next day the sun is out again, so I quickly pack up my tent and head up the path and across a flat alpine meadow to Tarōdaira-goya hut. Most people take the path west here down to Oritate and eventually back to civilisation, but I continue onwards down the broad and rolling ridgeline, one of the most scenic and peaceful sections of trail in the North Alps. 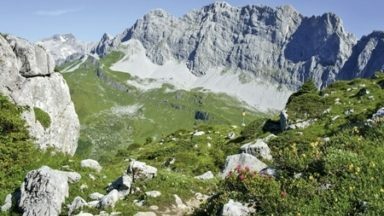 The path winds gradually eastwards through lush grassy meadows, where alpine flowers provide regular splashes of brilliant colour, then gently climbs up and over, or snakes around a number of minor summits. The main objective for the day is Mt. 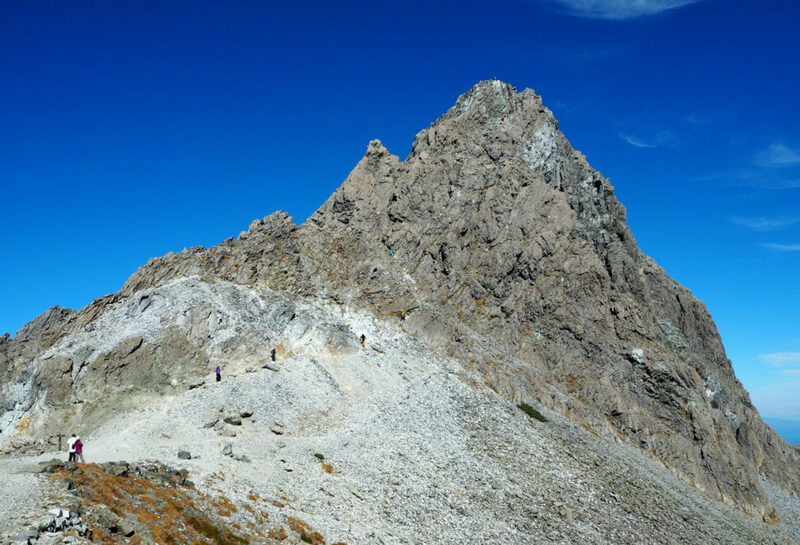 Kurobegorō (2897m), a stately peak below which lies a beautiful glacial cirque. It’s a short, steep slog up to the summit, but the views from the top reach far and wide as this is deep in the North Alps. After spending a few minutes taking photos at the top, it’s then a steep descent down into the bowels of the cirque, and on a fine sunny day like this it certainly lives up to its reputation as one of the most delightful spots in the entire Japan Alps. Great swathes of wildflowers carpet the valley floor, and patches of snow still lurk in the shaded recesses of the cirque walls. I sit down on some rocks next to a babbling stream and dip my bare, sweaty feet into the cold water. 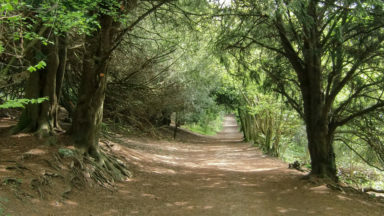 The sound of rushing water and faint birdsong is all that can be heard. Even after a leisurely lunch of rice balls and half-melted chocolate bars I find it difficult to leave. Below the cirque the trail passes down through the trees and emerges into an alpine meadow and the handsome Kurobegorō hut. 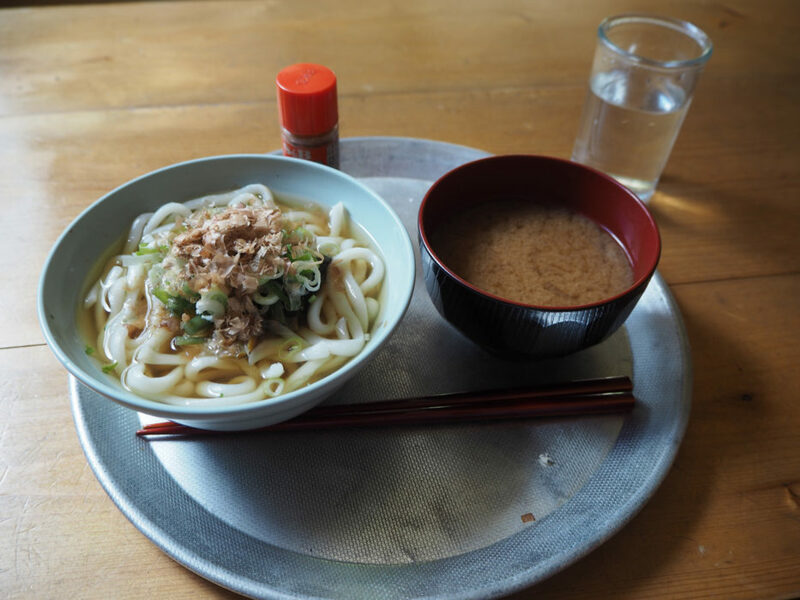 It offers a fine bowl of udon with freshly picked sansai (wild mountain vegetables), and most people opt to stay here the night. Being a glutton for punishment, I decide to press on for the rest of the afternoon, on a remote path up to Mt. Mitsumatarenge-dake (2841m). From the summit there are a multitude of paths to choose from, but I stay high on the ridge and eventually reach a narrow col and the Sugoroku hut and campground. A number of trails meet here so this tends to be a fairly busy hut, and the adjacent camp ground was already full of colourful tents (mostly Mont-Bell, the most ubiquitous brand in the Japanese hills) gently flapping in the cool evening breeze. After setting up, I notice a few people gazing intently up towards the lower slopes of the col. In the fading light it’s difficult to see what has piqued their interest, but it then becomes apparent that someone spotted a small bear somewhere among all the creeping pine, just yards from the nearest tents. Asiatic black bears are usually shy creatures, and encounters with people are quite rare (I’ve only seen one once in over a decade of hiking in Japan), with attacks on humans even more so, but that doesn’t stop many Japanese hikers from carrying a bear bell attached to their rucksacks. In any case, this particular bear appears to show no interest in the assembled campers and wanders off into the dark. The next morning it is another early start for the traverse of the Nishikama ridge, a fantastic ridgeline leading all the way up to the summit of Mt. Yari-ga-take (3180m). It is the narrowest and most exposed section of the route up until now, but the views of Yari’s ever-nearing iconic pointy peak are pretty special. 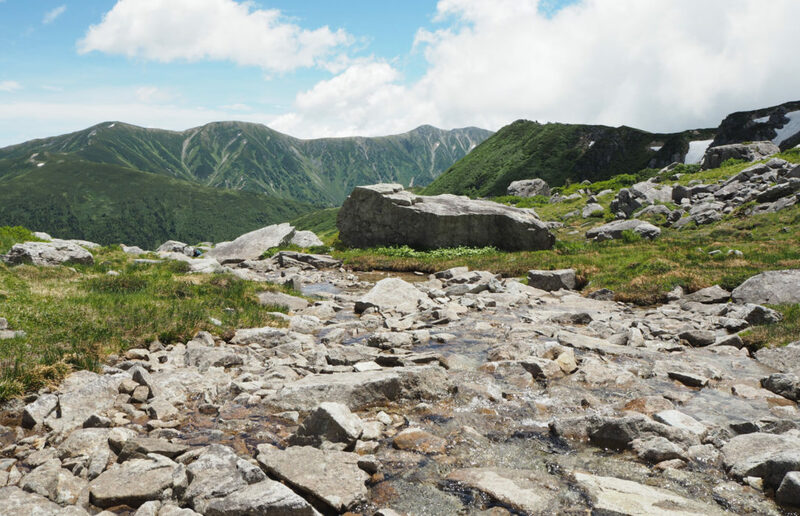 The ridge takes around 2 and a half hours to walk along, with a few ups and downs and a couple of straightforward scrambles, before a one-hour, ever-steepening climb right up to Yarigatake sansō just below the summit. It’s quite remarkable that a large hut like this could be built on such a narrow spur, and there are a few other huts in the North Alps whose aspects also seem to defy belief, and gravity. I leave my backpack against the wall for the short sharp scramble to summit. Like on many of the main hiking routes in the Japanese mountains, tricky sections of rocky scrambling are often liberally painted with arrows pointing the ‘right’ way, and plenty of metal chains and ladders are fixed in place to make things easier. 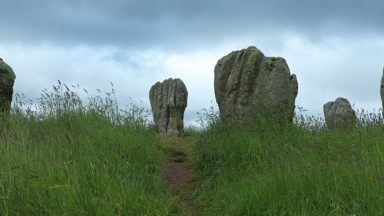 Coming from the British Isles where such things are generally frowned upon, I have mixed feelings about all these climbing aids, but that’s a subject for another day. Before I know it, I’m standing on the small summit of Mt. Yari, with the entire North Alps spread out below in every direction, and even Mt Fuji and the South Alps visible on a clear day. From here it’s easy to see the two possible routes down to Kamikōchi; the easy option leads southeast down the Yarisawa valley; the other much more difficult route follows the ridgeline directly south, dropping into the infamous Daikiretto (a large gap in the ridge involving knife-edge traverses and exposed scrambling) before more climbing up, across and over the Hotaka massif. It’s one of my favourite sections of the North Alps, as the scrambling is sustained, exposed and challenging and definitely not for the faint-hearted. But as I had already covered that section for my guidebook, Hiking and Trekking in the Japan Alps and Mount Fuji, I opt for the relatively gentle descent via Yarisawa. It is roughly 18km from the peak of Yari-ga-take to Kamikōchi, but luckily the first half of that is almost all downhill, and there are a few huts to break up the journey along the way. I walk carefully down the rocks and scree, passing a small cave underneath a boulder which a Buddhist priest called Banryῡ used as shelter during his many visits to the mountain (including the first recorded ascent in 1828). 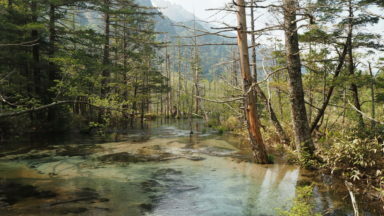 Further down, the valley starts to narrow and the path passes below the tree line, following the gushing river to Yoko-o where there is a hut and campground. I decide to set up my tent here for my last night in the Alps, thanking the heavens that I barely saw a drop of rain during the entire trip (it pays to aim for clear weather windows if you want to see any views). Compared with the exertions of the previous days, the final 10km walk to Kamikōchi is a breeze, as the flat path follows the Azusa-gawa River gently down the valley. Despite there being plenty of friendly hikers and ‘konnichiwa’ greetings exchanged on this stretch of the trail, the mixed pine and fir woodland it cuts through is pristine and peaceful, and I pass a big group of macaques foraging next to the river. As I get closer to Kamikōchi I see more people who clearly haven’t been hiking for days enjoying the scenery, and I realise that I should savour it too as my trek reaches its end. The rustic hotels of Kamikōchi are dwarfed by the sheer rock towers of Mt. Hotaka, Japan’s third highest peak, which looms above the tiny mountain resort. The swarms of people are a shock to the system after days of relative solitude in the mountains, but the chance for a hot bath and a bus back to civilisation isn’t entirely unwelcome. I’ll be back here again soon. For the truly dedicated it is possible to do a true traverse of the North Alps, starting on the beach on the Sea of Japan coast and ending at Kamikōchi, or perhaps continuing even further on to Norikura and Ontake, two giant volcanoes beyond the far southern end of the range. 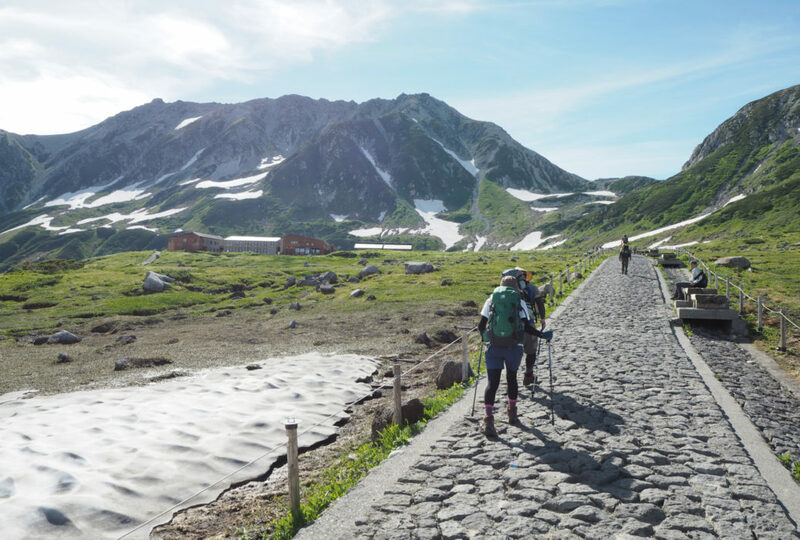 But there can be little doubt that the week-long stretch between Tateyama and Kamikōchi remains one of the finest short treks you can do in Japan.